The importance of play to children’s learning, development and physical activity is regularly cited as a reason to provide more opportunities for it. Adrian Voce suggests it may be even more fundamental than that, and cautions against instrumental designs on what children do naturally. I was recently asked to write an article about the benefits of ‘free play’, and wondered how these might differ from the benefits of play in general. I could only conclude: not at all. 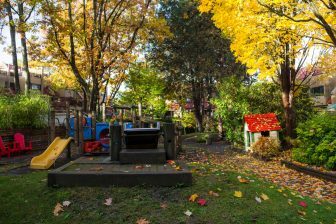 This is because, in a sense, the term ‘free play’ is a misnomer: its frequent use more an indication of how widely play tends to be misunderstood by policymakers – and possibly society in general – than a choice of words to identify and distinguish a particular form of play from others. Advocates have adopted the term only in the face of such misunderstandings, and the attendant, policy-driven appropriation of children’s play to other agendas, wherein it is seen as instrumental to achieving ‘positive outcomes’. Play is famously (or notoriously) elusive. It is difficult to define because it is at the same time simple and also complex, ubiquitous and yet ambiguous (Sutton-Smith, 1995). 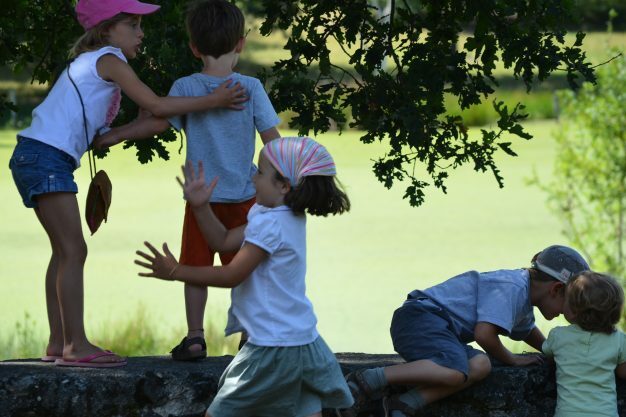 One thing that the many different academic perspectives on play tend to agree about, however, is that a key distinguishing feature of it, is the choice and control that children exercise when they are playing. 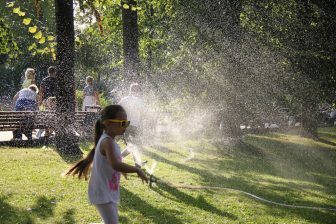 While a full appreciation of the dynamics of play recognises that it emerges through the interactions of children with other players, and with their environment – and is therefore not fully ‘self-directed’ in any absolute sense – most play scholars (and practitioners) nevertheless agree that if children are not, in essence, freely choosing what to do or how to do it, then they are not really playing at all. So, to consider the benefits of ‘free play’ is in fact to ask what are the benefits of play in general. Here too, however, it is wise to exercise some caution. Because play is essentially freely chosen, any inquiry into the benefits that accrue from playing runs the risk of assigning motives to it, instinctive or otherwise. For those charged with designing spaces, delivering services or making policy for play, it may also lead to the distortion of what is being provided. So it is, for example, that spaces ostensibly for play can come to resemble nothing so much as outdoor gyms for children; and ‘free play’ sessions can come to be little more than guided learning with props. The irony of the instrumental agenda for children’s play – how to harness it to increase physical activity levels, improve educational attainment or facilitate developmental progress – is that another thing the science tends to agree about is that for children to derive the fullest benefits from playing, play spaces should contain as many ‘fields of free action’ (Kytta, 2004) as possible; opportunities for them to independently discover and realise their own play affordances from environments (social and emotional as well as physical) that are unconstrained by extraneous directions or expectations. Being in charge, encountering both the freedom and the responsibility that this implies, feeling uncertain and making decisions: these are fundamental elements of playing that are undermined by interventions, however benign, designed to do anything other than support the play process. With this insight, the concept of ‘adult-led’ play and ‘play-based’ learning towards specific goals and targets, can be seen as flawed concepts. Whatever children may learn and however they may develop through their play, largely happens precisely because there are no targets, goals or expectations, other than the ones they may invent for themselves as part of a game. Place attachment: just as children need strong social attachments, attachment to place may also be seen as a key adaptive system. 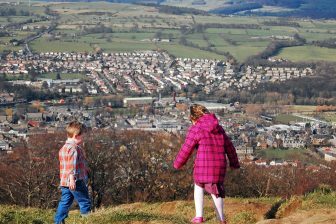 The creation of a sense of place is vital not only to a sense of wellbeing but also to maintaining the quality and vitality of the environment. by Stuart Lester and Wendy Russell (Play England, 2008). Taken together, these findings all point to play being the key manifestation of children’s capacity to ‘assimilate and accommodate’ not so much the cognitive data of Piagetian developmental psychology, as the multi-various encounters and experiences of living in such a way as to enable them to have fun with it. Playing, in other words, does not primarily help children to learn about the world so much as it gives them the reason to keep coming back for more. Playing does not primarily help children to learn about the world so much as it gives them the reason to keep coming back for more. Nature, through evolutionary processes over many hundreds of millennia, has equipped the young of our species – physically less mature, more vulnerable and more dependent than any other – with the means to nevertheless be resilient and adaptive. They do this by playing, and in ways that are unique to our species (Fagen, 2011). At a time when resilience is the watchword in the quest for effective early intervention strategies, perhaps policymakers are overlooking the most readily available and obvious resource of all: children’s own instincts to play and to therefore enjoy their lives. Rather than seek to engage children earlier and earlier in formal education – where, no matter how good the teaching, there is a level of stress, as children struggle to constrain their natural tendency for ebullience and anarchy, for fear of disapproval or sanction – perhaps, in the early years, we should be simply providing fields of free action for them to become, through playing, the resilient, adaptive, creative, emotionally intelligent and socially confident young people that we all want them to be; regardless of how well they can spell or recount their tables. If we get that right for them the chances are that they will become, quite naturally as fit, healthy and well-educated as they need to be too. 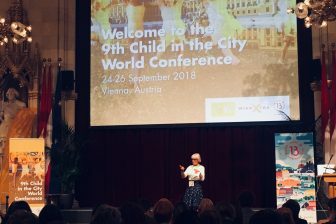 Adrian Voce is the author of Policy for Play (Policy Press, 2015) and is the current President of the European Network for Child Friendly Cities. Fagen, R., 2011, Play and Development, in Pellegrini, A. (ed.) The Oxford Handbook of the Development of Play, Oxford: Oxford University Press.